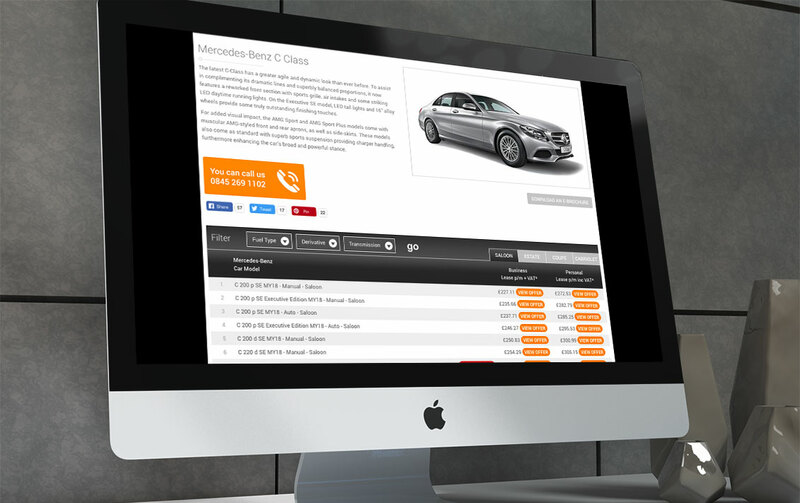 Mercedes on Lease is an independent company supplying the UK with bespoke leasing packages for Mercedes-Benz vehicles. Whether a Sole Trader, Partnership, Ltd Company, PLC or a Private Individual, Mercedes on Lease can offer you the right lease for a Mercedes-Benz. Mercedes-Benz is synonymous with automotive excellence. Their award-winning vehicles combine exemplary performance and class-leading luxury with impeccable safety standards and outstanding environmental credentials. As a result of Mercedes on Lease focusing solely on Mercedes-Benz, their prices are some of the best available in the UK. A bespoke CSV rate uploader for business rates, personal rates, special offers and 12-month contracts. The functionality has since been extended to override rates, with a customer relationship management enquiry integration, CAP data derivative integration, with extensive filtering system and much, much more! Since launching the website in 2014, website visits have gone from 250 to over 31,000 monthly visitors. 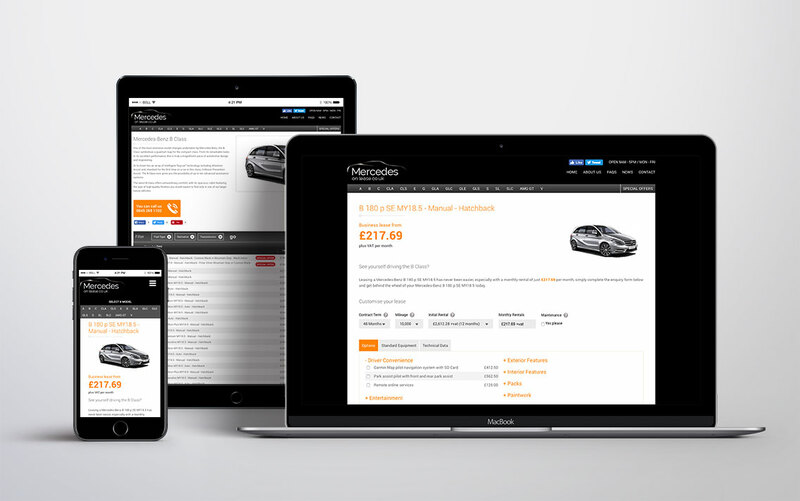 "If you want a website that not only look's great but performs great too, then look no further. A great company with great people."